Before going on topic Azure fundamental, we need to understand about cloud computing, to start an application over the network we set up a machine with required hardware and software which is called servers/data centers. To set up a server we pay heavy amount while we don't need all server resources at all time. Suppose we found an option pay as you go for hardware and software then what option you will choose, a heavy investment or pay as you go service. Definitely, I will choose to pay as you go service instead of maintaining CPUs, Storage, Networking, and Required S/w for an application. In Pay as you go service you rent them for the time that you need them. The cloud provider takes care of maintaining the underlying infrastructure for you. Finally, Cloud computing is the delivery of computing services over the Internet using a pay-as-you-go pricing model. Put another way, it's a way to rent computing power and storage from someone else's data center. 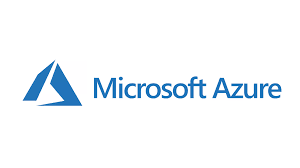 There are many providers of cloud computing like AWS by Amazon, Azure by Microsoft, IBM, and Google cloud platform by Google, in this tutorial we will learn about the services of Microsoft Azure cloud computing platform. Azure is Microsoft's cloud computing platform. Azure is here to help you tackle your toughest business challenges. You bring your requirements, creativity, and favorite software development tools. We bring a massive global infrastructure that's always available for you to build your applications on. What can I do on Azure? Azure provides over 100 services that enable you to do everything from running your existing applications on virtual machines to exploring new software paradigms such as intelligent bots and mixed reality. Many teams start exploring the cloud by moving their existing applications to virtual machines that run in Azure. While migrating your existing apps to virtual machines is a good start, the cloud is more than just "a different place to run your virtual machines". For example, Azure provides AI and machine-learning services that can naturally communicate with your users through vision, hearing, and speech. It also provides storage solutions that dynamically grow to accommodate massive amounts of data. Azure services enable solutions that are simply not feasible without the power of the cloud. Cloud reduce the cost of traditional infrastructure set up, there are no huge costs of hardware in cloud computing. You will pay as you use the services for a time. Cloud service providers are truly reliable in offering their services and maintaining them. It offers a flexible facility which could be turned off, up or down as per the circumstances of the user. For example, you set up the VMs on different zones(India and USA) and want to traffic on particular VM from 9 AM to 9PM as per zone date time(Mean in a day you want traffic on VMs), you can set up these VMs easily on the cloud. Cloud computing providers regularly update your software and security that’s why you no need to waste your crucial time over maintaining the system. Cloud computing offers great security on your sensitive data, no fear of data loss, it replicates your data in different zones data-center, if your data lost from one datacenter you can take backup from another zone datacenter. Cloud service offers scalability. Allocation and de-allocation of resources are dynamical as per demand. Azure cloud provides the facility as follows. Public Cloud − A service provider makes the clouds available to the general public which is termed as a public cloud. These clouds are accessed through the internet by users. These are open to public and their infrastructure is owned and operated by service providers as in the case of Google and Microsoft. Private Cloud − these clouds are dedicated to a particular organization. That particular organization can use the cloud for storing the company's data, hosting business application, etc. The data stored on private cloud can't be shared with other organizations. The cloud is managed either by the organization itself or by the third party. Hybrid Cloud − When two or more clouds are bound together to offer the advantage of both public and private clouds, they are termed as Hybrid Cloud. Organizations can use private clouds for sensitive application, while public clouds for non-sensitive applications. The hybrid clouds provide flexible, scalable and cost-effective solutions to the organizations.